Using Paul Harvey’s famous line ” Now, the rest of the story”…. I received a letter of explanation from a career military man in WA last Fall. Why? 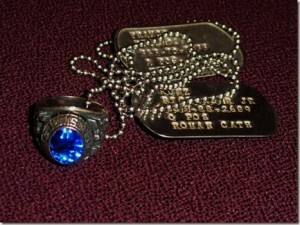 I had rediscovered a class ring and dog tags in the bottom of my jewelry box, long forgotten. Here is the story, in case you didn’t read the previous blog, more than 25 years ago I saw something glinting in the sun on the roadside as we sped along a rural Eastern Upper Peninsula road. We turned around and went back to see what it was, and to our amazement we found the class ring of a graduate from Jennison High School in the greater Grand Rapids, MI area. The ring was on a chain along with a pair of dog tags. In the 80’s I did what I could with the resources that were available, to find the owner, to no avail. Fast forward 25 years and the advancement of technology,luckily, it didn’t take me long to find the owner’s dad, now living in Florida. I placed a call to him, but had to leave a message. After a few days he, the, father, returned the call, but this time I wasn’t home. After playing phone tag, we finally made a connection. He told me his son has been in the military since High School and his birthday was soon approaching. He thought the return of the ring would be a great birthday gift. He thanked me. He said he would get back to me with an address. He did and I sent a birthday card, with a copy of my blog that I had written about the ring and dog tags, and of course the contents that I wanted to return. A couple of months passed. I wondered if the man I had contacted really WAS the father and if he had conveyed the information to his son. I wondered if the son had received the package or had I made a mistake in addressing the package. I became impatient, I called the father back and left another message, telling him I hadn’t heard anything from the son yet, and I was worried as to whether the package arrived. Well I never heard back from the father, but finally I received a very nice letter from the son. He explained that he was out of the country when the ring arrived. He gave me a summary of his long career in the armed forces: At the point of writing, he was a Chief Warrant Officer Five (CWS) serving at a base in the NW with the 1st Special Forces Group (Airborne). That group is part of the Pacific Command, so he has spent the bulk of his 29 years enlisted in Southeast Asia, overall he has served in nine countries. With 9/11 happening, this group also spent time in Afghanistan and Iraq. He specifically had spent 5 years in Thailand and the Philippines. He noted that he can read, write, and speak both Tagalog (Filipino) and Thai. The engagements he participated in were Operation Enduring Freedom in Afghanistan, Operation Enduring Freedom in the Phillipines, and Operation Iraqi Freedom. Chief warrant officer five. CW5s are commissioned officers with the requisite authority pursuant to assignment level and position as given by the President of the U.S.. CW5s are master-level technical and tactical experts who perform the primary duties of technical leader, manager, integrator, advisor, or any other particular duty prescribed by branch. They provide direction, guidance, resources, assistance, and supervision necessary for subordinates to perform their duties. CW5s have specific responsibility for accomplishing the missions and tasks assigned to them. 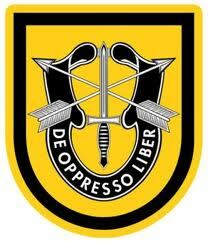 CW5s primarily support brigade, division, corps, echelons above corps, and major command operations. They must interact with NCOs, other officers, primary staff and special staff. 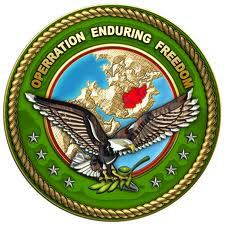 They provide leader development, mentorship, advice, and counsel to WOs and branch officers. CW5s have special WO leadership and representation responsibilities within their respective commands. They provide essential advice to commanders on WO issues. Mystery mostly solved. I would dare say that most people don’t care much about their high school class rings after they graduate, there are even commercials showing people cashing in their ring for the gold content. I know mine slipped off my finger at a Lake Michigan late bon fire which charred the gem stone, then it was stolen out of the glove box of my car in college. A tragic ending. Do you know where you ring is? I bet it is in a drawer somewhere, long forgotten. « Mystery Solved After 30 Plus Years!